The power of waves and currents has been experienced by many people in simple bathing in the sea. When diving, waves and currents are a very special challenge. Therefore, if you do not want to dive exclusively in calm waters, you should acquire special abilities and skills to deal with the appropriate conditions. 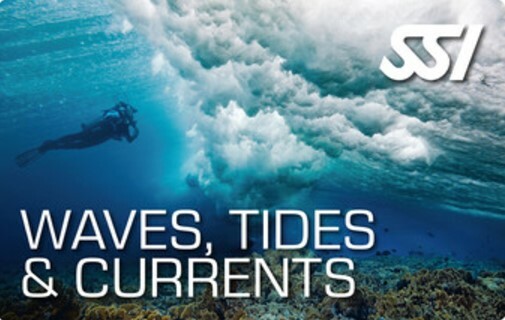 As part of the SSI course “Waves, Tides & Currents”, you will learn how to dive safely from the coast into currents and waves of different types. The only prerequisite: You must be at least 12 years old and have successfully completed the Open Water Diver course.